The first thoughts that come to mind when one thinks about World War II Marines is them landing on bloody beaches and fighting in steamy jungles of the Pacific. But this was not the role of Marine Pierre Julien Ortiz, who served in Africa, the Middle East, and Europe. His exploits and dare-devil attitude were things of fiction yet they were all real. He was an American and a Frenchman with a Spanish name and he lived in remarkable times and did remarkable things. His life was a series of rousing adventures that were the basis for several Hollywood screenplays. He was a ship’s mate, a race car driver, a decorated French Foreign Legionnaire with two awards of the Croix de Guerre, a World War II Marine officer with two Navy Crosses and two Purple Hearts, a member of the covert Office of Strategic Services and captured by the Germans only to escape and three years later be captured again – and he was a Hollywood movie actor. He spoke five languages including French, German and Arabic. On February 1, 1932, at the age of 19, he joined the French Foreign Legion for five years’ service in North Africa in Morocco. Within three years he was a sergeant. He was awarded the Croix de Guerre twice during a campaign against the Rif. 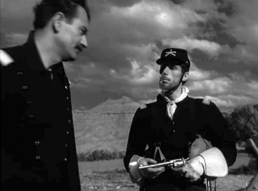 When his contract expired, he went to Hollywood to serve as a technical adviser for war films. In January 1944, he parachuted into the Haute-Savoie region of German-occupied France as part of the three-man “Union” mission with Colonel Pierre Fourcaud of the French secret service and Captain Thackwaite from SIS to evaluate the capabilities of the Resistance in the Alpine region. He drove four downed RAF pilots to the border of neutral Spain before leaving France with his team. Promoted to major, Ortiz parachuted back into France on August 1, 1944, this time as the commander of the “Union II” mission. 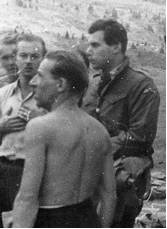 He was captured by the Germans on August 16 and spent the remainder of the war as a prisoner of war. He was the most highly decorated member of the OSS. 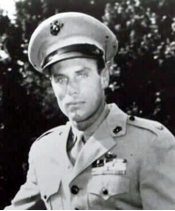 In April 1954, he volunteered to return to active duty to serve as a Marine observer in Indochina. The Marine Corps did not accept his request because “current military policies” will not permit the assignment requested. He rose to the rank of colonel in the Marine Reserve. 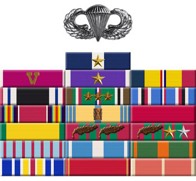 Ortiz’s decorations included two Navy Crosses, the Legion of Merit, the Order of the British Empire, and five Croix de Guerre. He also was made a Chevalier of the Legion d’honneur by the French. In August 1994, Centron, France held a ceremony in which the town center was renamed “Place Colonel Peter Ortiz.” This event was attended by many former members of the local maquis unit in the region, as well as the Marine contingent and Mrs. Ortiz and her son.